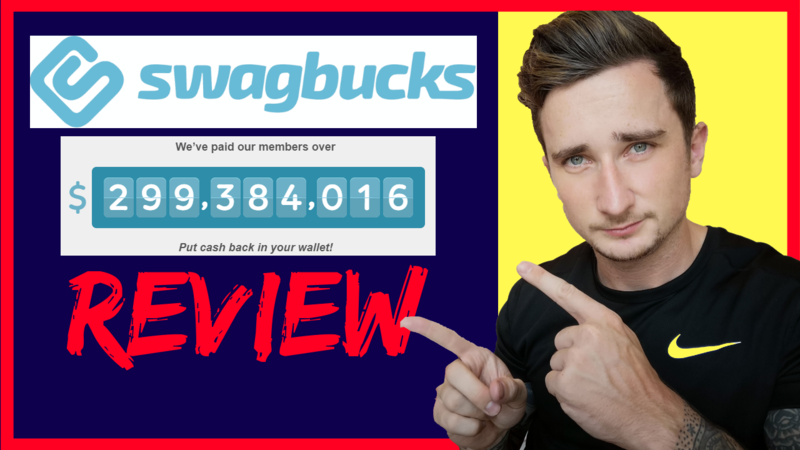 Swagbucks Review - How Much Can You REALLY Earn? Swagbucks is probably one of, if not THE most well known online survey websites. You've probably already heard that they are legit and they do actually pay. But, how much do they really pay out? How much can you expect to earn? In this Swagbucks review, I'm going to be taking a deeper look to find out the truth. Swagbucks Review – What Is It? And like I've already said, they do actually pay. You have to be very careful with these GPT websites. A LOT of them are just scams, and you'll never get your money for the tasks you complete. However, this is one good thing about Swagbucks. They are 100% legit. You will get paid for anything that you do. How Much Do Swagbucks Pay? Swagbucks first started back in 2005. And since then, according to their website they have paid out over $299 million to their members. Now, this sounds like a HUGE amount of money right? Almost $300 million that they've paid out! But.. If we do the maths, you'll see that it's not really that much. $299,000,000 / 15 million members = $18 per member. That means since 2005, they've paid out an average of $18 to each member. Which isn't a lot at all. It's actually very low. Watching Swagbucks TV (videos): You earn 1 SB for every 6 videos. Sometimes you earn 2 SB per 6 videos. You're able to do this on your phone too, which is cool. You can watch things such as Movie Trailers to earn SB. Daily poll: Earn 1 SB for voting each day. Searching the web: Simply earn SB for searching the web through their platform. This one is kinda random for the SB. Special Offers: Various brands partner with Swagbucks to offer members trials or discounts, you can earn points by taking advantage of these offers. Be careful with these kind of ones. Sometimes when you sign up for a trial, you have to enter your bank card details. If you forget about this and don't cancel before your trial ends, you could be billed for the full amount until you cancel. Answer surveys: There is a HUGE list of third party market research surveys you can take for Swagbucks. Again, these are random amounts of SB. Completely depends on the survey. Playing games: There are games wihin Swagbucks that you can play to win Swagbucks. Refer friends: When you refer your friends, you can earn 10% of their Swagbucks earnings for life. Daily bonuses: If you earn enough Swagbucks in a day, you get bonuses. So, this all sounds decent, right? And you're right. It is quite easy money. None of the tasks are difficult at all. And most of them can even be done from your phone. However, the math doesn't lie. The average person only earns $18 from Swagbucks. Which is an incredibly low number. With a good few hours work every day. Completing A LOT of tasks, you could probably earn just a couple of bucks. The Verdict – Do I Recommend Swagbucks? If you're not looking to a earn a full time income, and you just want a few extra bucks in your spare time, then yes I would recommend Swagbucks to you. The reason the average person only gets $18 is because they probably get bored of earning such a small amount. However, if you're looking to earn BIG money online. Then I would recommend clicking the button below. Thanks for reading my Swagbucks Review.